Coming to its road cars soon? Audi is looking toward the future by utilizing a digital rear-view mirror for its R18 race cars for the 2012 24 Hours of Le Mans. Used for the first time in a closed-cockpit Le Mans Prototype (LMP) race car, Audi claims that the digital rear-view mirror "provides a clear view of the rear and thus substantially improves active safety." In the past, Audi's drivers for its LMP race cars had to rely on the outside mirrors when looking rearward. However, the rear end and the rear wings plus the vibrations that occur at high speeds significantly limit the field of vision of these mirrors. As a solution, Audi developed the digital rear-view mirror that shows what is happening behind the car using an AMOLED display that, the carmaker claims, is better than any conventional mirror. The image displayed on the AMOLED screen comes from a small, lightweight camera that sits just a few millimeters behind the antennas on the roof of the Audi R18. It captures the action at the rear and transmits the information to the cockpit as digitalized data onto the AMOLED display that sits where the inside rear-view mirror is typically located. 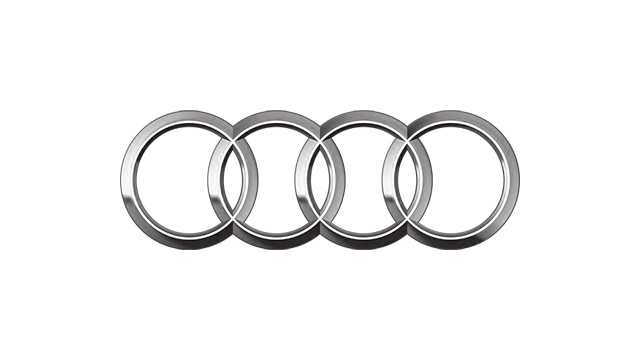 "This gives us a whole host of benefits," said Audi motorsport boss Wolfgang Ullrich. "The operation of the mirror is weather-neutral. By contrast, when using outside mirrors, heavy water spray severely impairs the driver's field of vision when it rains. For the new digital mirror, we worked out various day and night driving modes. Even when a rival approaches from the rear with high-beam headlights, the image is superb and not just a glaring light spot." Ulrich added that the system used in the R18 actually originated from Audi's technical department via a similar system that was initially installed on an R8 road car, which the team's race car drivers, Marcel Fassler and Marco Bonanomi, then tested in road traffic. "The intensity of the demands in motorsport, such as at the 24 Hours of Le Mans, will cause such a system to mature at an accelerated pace," added Ulrich. "If the digital rear-view mirror is introduced in production vehicles at a future time, our consumers will yet again profit from a system that has been successfully tested in motorsports as well."